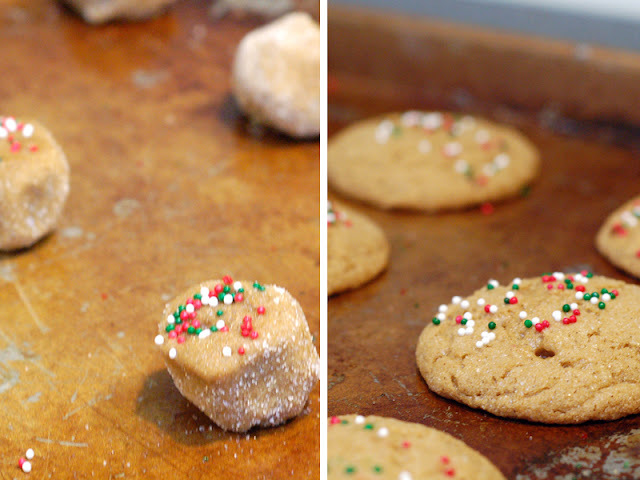 If you've ever tried to apply sprinkles to a cookie before baking, you know that it can be a wee bit tricky... sprinkles rolling off roundy-not-very-sticky cookie blobs... it's decorating mayhem, people. This morning I was making some ginger cookies to freeze for our annual Christmas party, so I thought I'd share a little trick that I use. 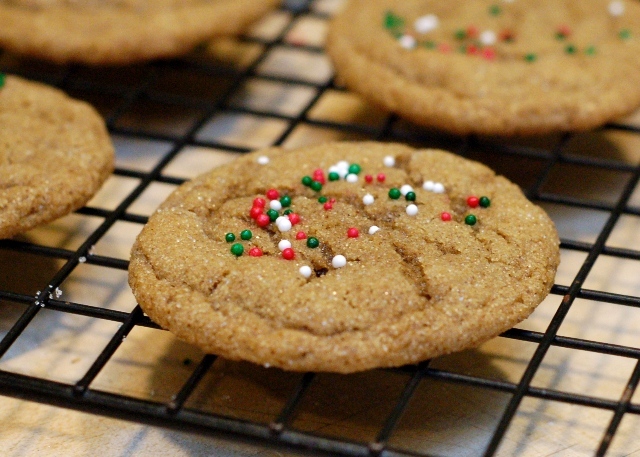 Make your cookies like normal, but insert the pan you'll be using into the oven while preheating so that it gets hot. When the oven is ready, pull the pan out and let it cool for 5 minutes or so, then form your cookies and place them on the warm pan. 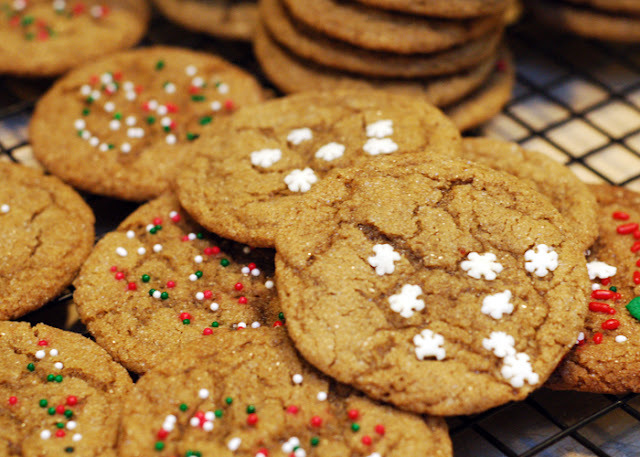 After all the cookies have been placed, lift the first one and you'll notice that the heat has softened the bottom of the cookie; it's warm and bit melty. Perfect sprinkle glue! 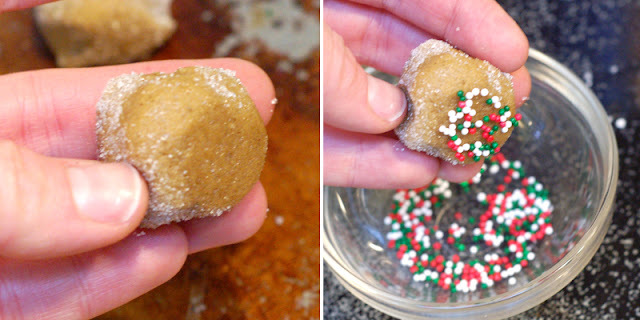 Gently dip the warm cookie bottom into sprinkles, flip it over and return the dough to your baking sheet, cute side up. Then just bake like normal and repeat the process, since the pan will stay hot from its trips into the oven.